Nokia Mobile prepared attractive offers for potential buyers of company’s first phablet phone, the Nokia 7 plus. Across various markets the device will be bundled with different products (like Google Home Mini speaker) to attract more customers, and the same goes for France. From 30th March to 16th April every buyer that pre-orders a Nokia 7 plus from selected HMD partners will get a JBL T450BT headphones worth €50 as a present. 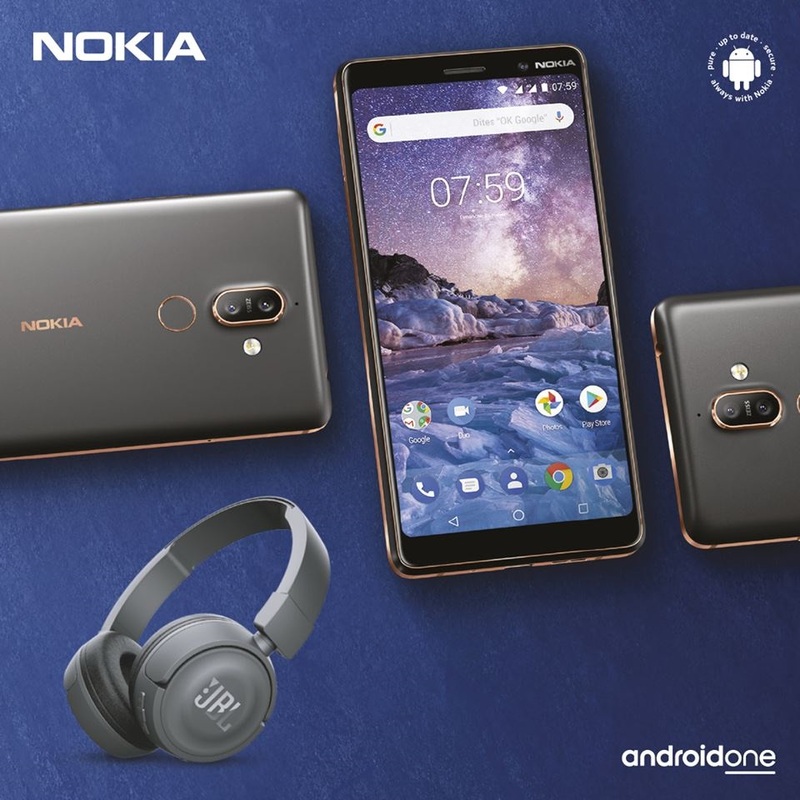 The offer was announced by Nokia Mobile France on Facebook, while the list of partners was brought to you by Nokians.fr and follows down below. The offer will soon be available via the official Nokia Online store for France. Nokia 7 plus will retail for €399 and should be available after the pre-order period, or in other words, in mid-April. In other European countries the Nokia 7 plus is expected to hit the shelves in April, too. Amazon puts the availability in Germany on 12th April, in Italy on 30th April, while the availability for Spain and France is unknown. In the UK, the 7 plus will arrive in early May. HMD set April as the month when the global sales of all announced Nokia smartphones in 2018 will start, and the Nokia 1 is already available in a lot of markets, with Nokia 6 following behind. The 4G feature phone Nokia 8110 should hit the stores next month. I’m glad Nokia Mobile is bundling their devices with different gadgets, even though I would more like to see 1st party accessories bundled with Nokia phones. The JBL headphones (whose owner is Samsung, via Harman) are surely a great addition and they would fit with the 3.5mm jack lacking Nokia 8 Sirocco, too. All in all, this an excellent way in attracting more early customers.